There are very few things I look forward to more than a new Laika film. The still relatively young animation studio has consistently made good films, reaching their zenith with the brilliant Kubo and the Two Strings. I can honestly say that I have been a fan since the very beginning. In fact, I've been a fan since before the beginning, in the sense that as a teen I was a fan of Will Vinton Studios, the company that created the word "Claymation", and gave us the California Raisins, and eventually evolved into Laika. The significance of this history is worth noting, because you may well go easier on the latest offering from the studio if you do, since in many ways Missing Link feels more like a Will Vinton movie than a Laika one. 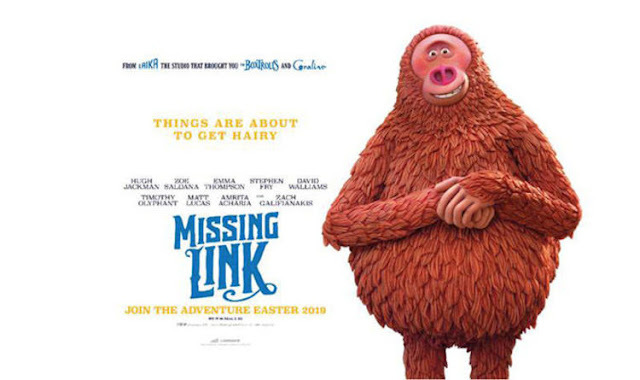 Missing Link follows myths and monsters investigator Sir Lionel Frost (voiced by Hugh Jackman), who sets off on an adventure to the Pacific Northwest to prove the existence of the legendary Sasquatch, having received a letter from someone who claims to have knowledge of just where the creature can be found. Frost, who's also looking to gain acceptance by his small-minded explorer peers, finds the himself face to face with creature, only to discover that "Mr. Link" (Zach Galliananakis) is on a quest of own, to find his closest living relatives, the Yeti. Frost agrees to help Link in exchange for tangible proof of his existence that can be brought back to England. Missing Link is an enjoyable, solid film that families can watch together, but it lacks the inspired quality of The Boxtrolls or Kubo. It's a great concept, but it almost feels like a film that would be made by Aardman (Wallace and Gromit, Chicken Run, Arthur Christmas), even looking a bit like their work stylistically, which may be why it feels like the laugh count should be so much higher than it is. There are some funny moments, to be certain, but this is the kind of film where the trailer sets you up with the expectation of a steady stream of laughter by including nearly all of the funniest bits. The result is a movie that is more cute than it is funny. Jackman adds plenty of presence as the voice of Frost, but the great irony of the film is that the script isn't the tiniest bit interested in exploring the explorer. He's just a very straightforward stock character with a "needs learn to care as much about others as he does himself" arc that plays out like an instantaneous change of heart. Gallifnianakis is perfectly cast as the lovable Link, and makes the right choice in not over milking it, but he should be rewarded with a greater number of memorable lines. Zoe Saldanna, as the wife of Frost's former partner, basically just plays Salma Hayek, but that's all she's being asked or allowed to do. Stephen Fry throws himself into the role of the antagonist, Lord Piggot-Dunceby, with enthusiastic glee, and it's a close call which of he and Gallifiniankis fares best. Timothy Olyphant is amusingly unrecognizable as a thug for fire. And Emma Thompson is a welcome presence as the Yeti Elder. But if I'm not leaving a movie where Emma Thompson plays the Yeti Elder thinking that it's my favorite character of the year, that is a missed opportunity. It's easy to get the idea at this point that I didn't like this film, and that is absolutely not the case. 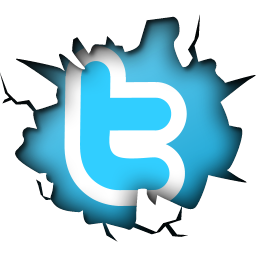 I just didn't love it like I wanted to. The animation is painstakingly perfect and visually splendid, the action is well paced and inventive, the Julkes Venre style adventure/explorer genre instantly appeals to me, and premise is a truly great one. And of course the score by Carter Burwell is rousing and fun. But writer/director Chris Butler is solo in both jobs for the first time, and as a screenwriter he really needed a partner with a gift for clever dialogue and someone to tell him when the characters weren't reading as strongly as he thought they were. There's still far more to like about Missing Link than to dislike, and if you like Laika like I like Laika, it's a must see. Furthermore, I feel like it's the kind of movie that may have been hurt by being screened in the morning when my head was cloudy, and I suspect that it will grow on me with lowered expectations on repeat viewings. But given how overdue Laika is for a best animated feature Oscar, and the fact that Disney is giving us nothing but sequels this year, it's hard not to see this underwhelming chapter in the company's history as something of a missed opportunity.